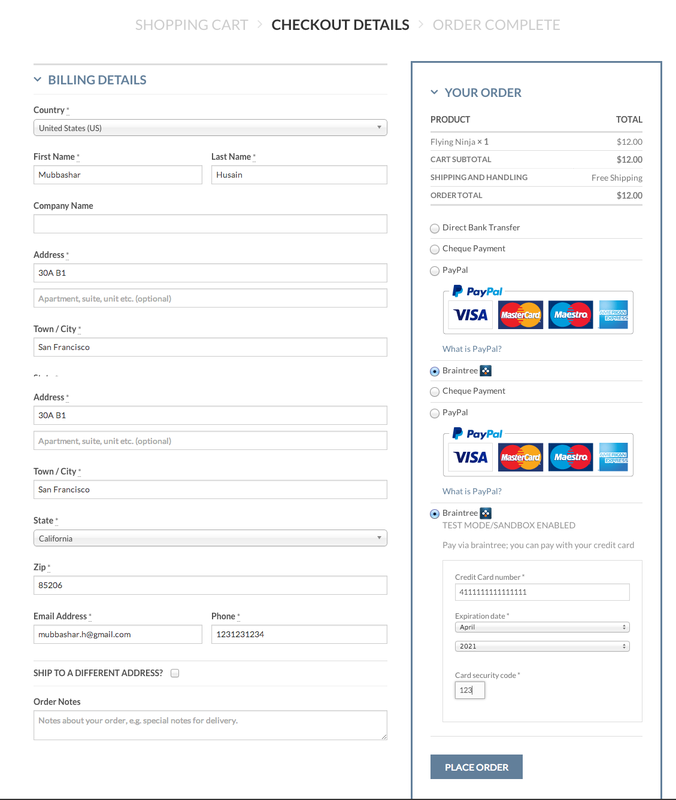 Simplify Payment Processing with Braintree Payment Gateway on your WooCommerce store. 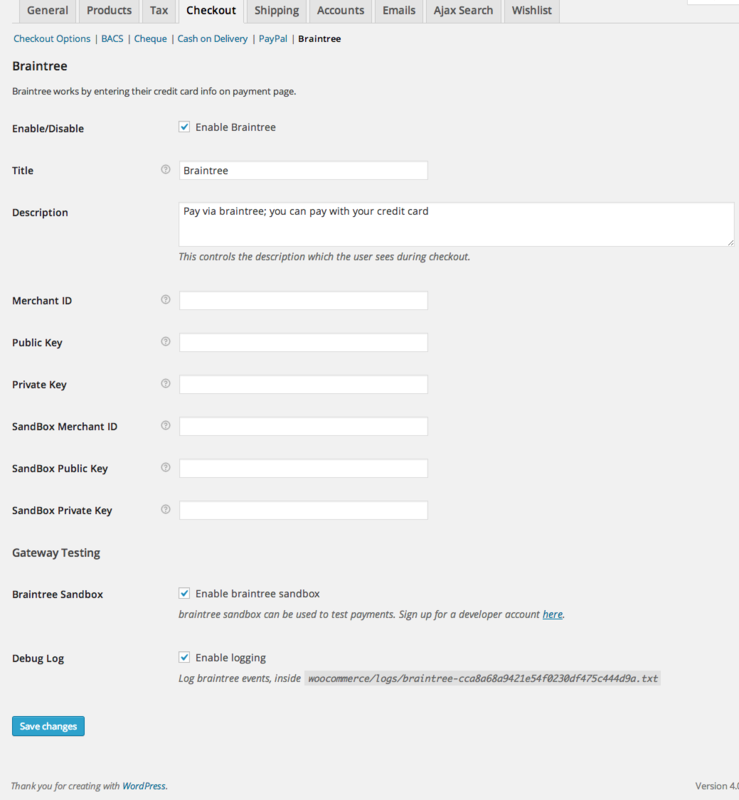 Braintree allows you to accept credit cards on your WooCommerce store. Accept payments in over 130 currencies and benefit from exceptional customer service with Braintree. All major credit cards (Visa, MC, AmEx, Discover, JCB, and Diner’s Club) are accepted with WooCommerce Braintree. You’re just moments away from getting the gateway setup and accepting payments!